I have quite the September lined up for myself! It was accident, really, I swear. First Scott wanted to do the Electric Run 5K. And I said, I like running! I like lights and music! I'm in! 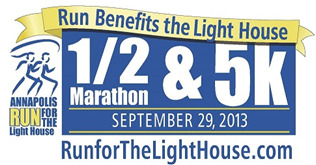 THEN, the very day Moon and I signed up for the Tinker Bell Half, she sent me a link with info about the Annapolis Run for the Light House Half Marathon. We discussed it a little bit, and by the end of the day we were registered. So yeah. 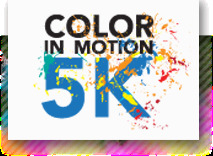 5K this weekend. 5K next weekend. Half marathon at the end of the month. Oh, and the Maryland Wine Festival is in there too, of course. Vital part of training, no? I hope her mom's condition improves!